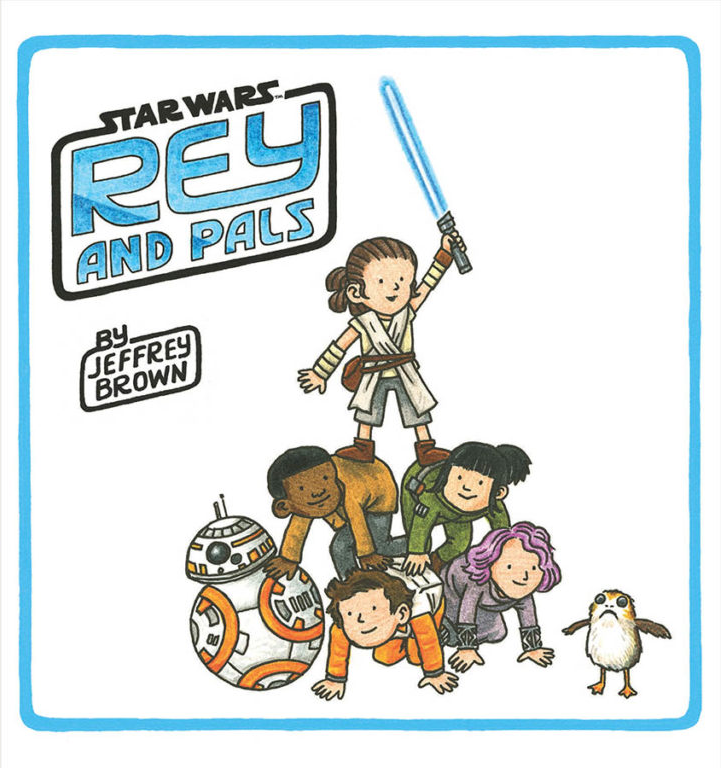 The author of the popular Darth Vader and Son books is back with a follow up book focused on the characters of the sequel trilogy, titled Rey and Pals. Rey and Pals is an illustrated book, featuring kid versions of Rey and other sequel era characters in silly situation with each page essentially being a one-panel comic strip. The book was announced today on StarWars.com and The Star Wars Show, not release date has been announced. "The first step is to simplify, and boil the look of the character down to a few elements. Some of the costumes have a lot of detail, but if I draw too much detail in a costume, it doesn’t gel with the cartoony look of the characters’ faces — especially when I’m drawing Rey as a little kid. The other thing to focus on is body language and expressions. Rey is someone who dives right in, and can be very decisive and isn’t afraid to try and fail. So when I’m drawing her I’m imagining when kids are like that, trying to capture that feeling with how she stands or walks or gets into mischief." As a huge fan of Brown's previous Star Wars works, I'm very excited to hear that he's back to write and draw more books. His previous works include Darth Vader and Son, Vader's Little Princess, Goodnight Darth Vader, and the Jedi Academy trilogy of illustrated junior novels.